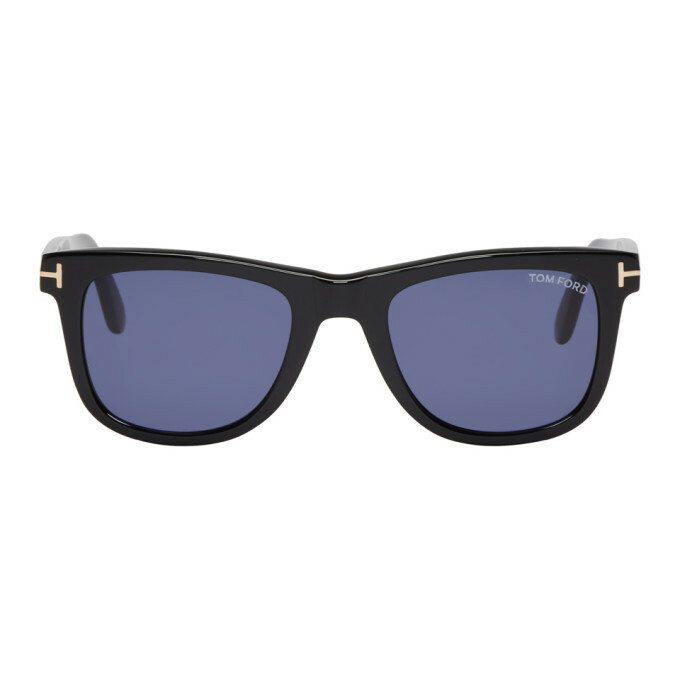 Square ‘shiny’ acetate sunglasses in black. Blue lenses with 100% UV protection. Logo etched at lens. Signature hardware at hinges and temple tips. Pale gold-tone hardware. Size: 52.21 145.